V/M - Resets all memories and following menu settings to the factory default. HOME - CPU Master reset for all memories and menu settings. FUNC + V/M - Master reset after MARS Mod. I wanted the flexibility to switch PC's, head phones, morse keys, etc. The project was built using readily available parts. I used a circuit from the AR mag for the sound interface and a simple RS232 interface for CAT control. I also wanted to have the ability to use headphones and headset microphone as well as the hand mic. A CW key input, switching between sound card and TNC was a must as well. 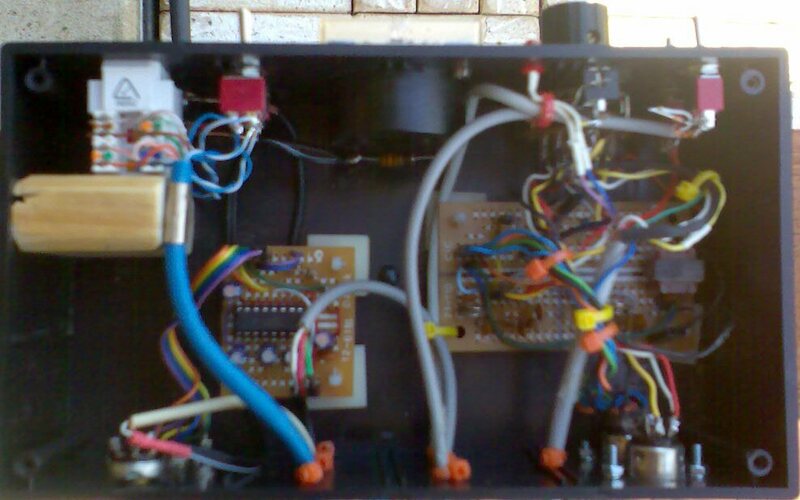 Also added was as 1200/9600 baud change and Tune switch and SWR/SIG meter on the front panel. The mic input is switchable between the hand mic socket and the headset socket. When the mic is switched to headset, the controls on the mic are still usable. Please excuse the poor photos as the phone camera is not the best. hihi. The RS232 Interface I used. 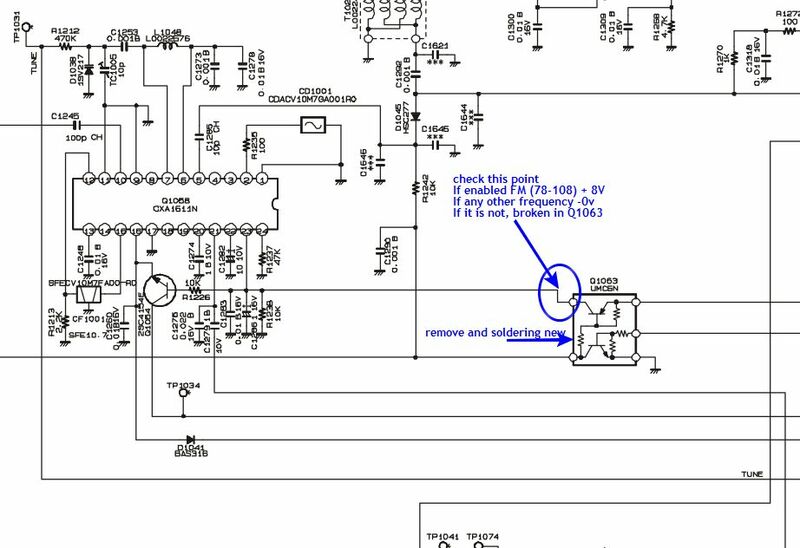 RS232 Communications Cable needed if above circuit is put in a separate box is a pin for pin type. ie. pin 1 to 1, 2 to 2, 3 to 3, through to 9 to 9 etc. If you have squelch turned on and no sound is heard until the knob is turned anti-clockwise thereby disabling it, then the following may fix the problem. Searching the internet found only one other person experiencing the same problem. After a few email exchanges, it was found that we both were using HF with tuners prior to the squelch fault. I was using the FC-30 ATU, and Dennis N8BMB was using a manual tuner. (And, now (Oct 2010) I have received an email from G3ZQI with the problem, including other settings that has changed like mine did.) Is it possibly RF associated with high VSWR while tuning up? If so, then maybe a component has changed value resulting in the final menu value of almost 90 units away from the default CPU value in menu 13 (for example). I'm not sure, but the problem was not fixed by resetting memories or the CPU. 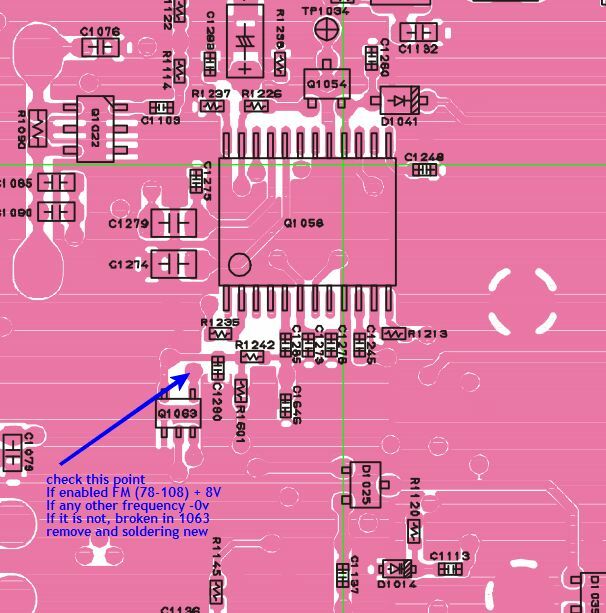 ALSO - You may find that the signal strength on HF is reading incorrectly and the VSWR is also a little out of wack. After fixing the squelch problem, I had to redo all the technical menu settings. For example, setting a S9 reading on the display. Luckily I had another fully working unit I was able to use as a bench mark. 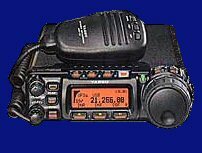 Tune the radio to the 144MHz band and turn off the radio. Access the tech menu by holding in A, B and C buttons while turning on the radio with the squelch turned fully counter-clockwise. 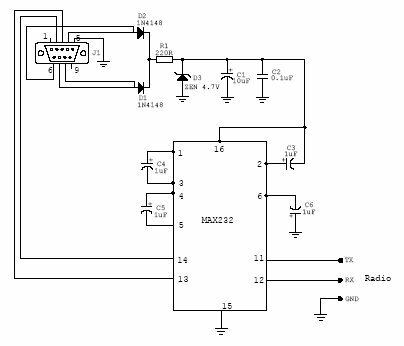 Inject an RF signal from the sig gen at -15dBu output, with +/-3.5kHz deviation FM Modulation of a 1 kHz tone. Select menu item "13:FM-TH1" and press the A key. Select menu item "14:FM-TH2" and press the A key. Increase the sig gen output level to 0dBu. Select menu item "15:FM-TI1" and press the A key. Select menu item "16:FM-TI2" and press the A key. Hold the function key in long enough to accept the new data. I don't have a signal generator so I improvised with a hand held and a dummy load. I pressed the A key for menu 13 and 14 while on low power and whistling into the mic and pressed the A key for menu 15 and 16 while on high power. This did not work, although values were entered about 80 higher than the original value. WHAT DID WORK was to put the squelch knob up at about 3/4 clockwise and did the same and now I can actually use the squelch quite successfully on all modes / bands. I have since used a signal generator to improve settings, but they remain the same. Egor said, I solved the problem and send you pictures. The problem is on the board MAIN-unit, the side B, see pictures. After repair, I put all the values (service menu) in the factory, is now the radio works fine. You have a web site, you can give this information to all people. Note: Menus 13,14,15 and 16 were changed on the Car radio to bring it back to life after the squelch failure on 2m / 70cm.